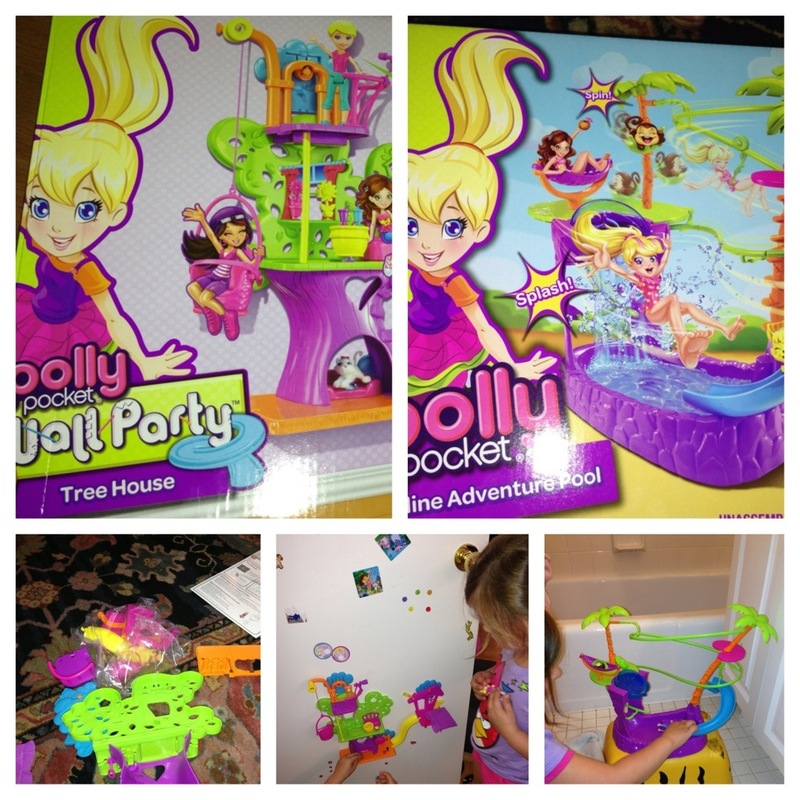 I have always loved miniatures and other small toys, and my 4 year old daughter is into anything and everything to do with dolls–so I was pretty excited to get to try out two new Polly Pocket sets –the Polly Pocket Zipline Adventure Pool and the Polly Pocket Wall Party Tree House. The Tree House was remarkably easy to put together, and I love that it hangs on the wall–no lost floor space! All of Polly’s accessories can attach to the set with suction cups so that they don’t get lost, which is a nice additional touch. The Zipline Adventure Pool was was much more of an adventure to put together (I am embarrassed to say how long it took me to figure out which of those green tubes went where! ), but the addition of water makes for a super fun time–my 7 year old son likes to zoom Polly into the water almost as much as his little sister does. One caveat? If you have a kid who likes to play roughly with his or her dolls, Polly’s head can be more easily reattached than her legs. And no, I’m not admitting to anything.